The ZR-1 has a 52 - 48% front to rear weight distribution. Relocating the battery will change the bias by 1 point. The revised weight distribution is 51- 49%, the same as a LT1 Corvette. A lightness is noticeable in the steering at low speeds. 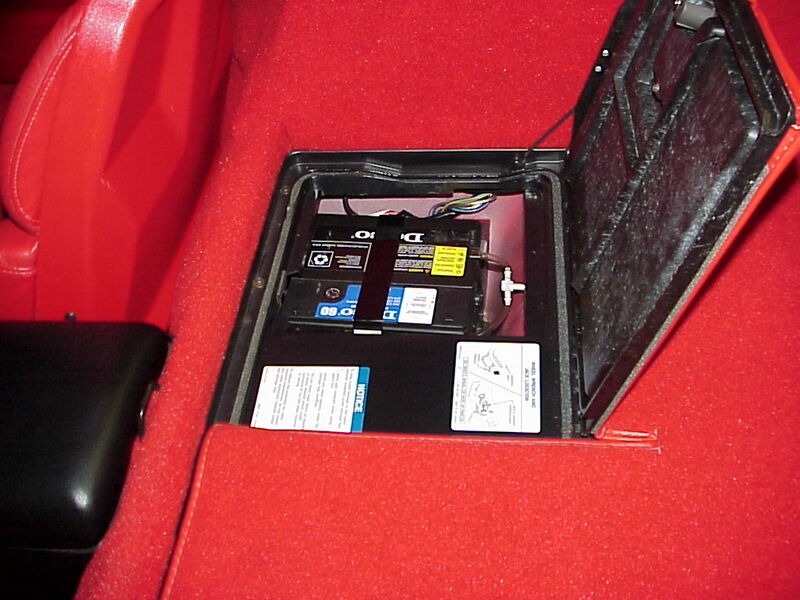 The battery is relocated to the right rear storage compartment. As an added benefit, the battery life is enhanced by this upgrade. Heat has a significant effect on the aging of a battery. The rear compartment has a more stable thermal environment than the location next to the engine. The installation includes a new battery. '90 - '92 $729. '93 - '95 $784.